Why are we better at keeping our cars clean than our boats? Your boat deserves to look great when it’s out on the water or waiting for the next voyage. We can offer full detailing service for your boat, including exterior and interior cleaning. That includes metal and plastic surfaces, as well as upholstery. While ALL recreational vehicles and watercrafts are different, at Karmichael Auto Salon, we take pride in our work and the ability to tailor a “detail-package” that fits your specific needs. We have an assortment of marine specific products that can improve the shine and luster of your boat and its protective gel-coats. We specialize in getting your boat ready for the summer, or, cleaning and waxing it to be stored for the winter. Either way, we have you covered. Paint, fiberglass, and gel-coat restoration, shampoo carpets, hand wax, leather protection, and more. 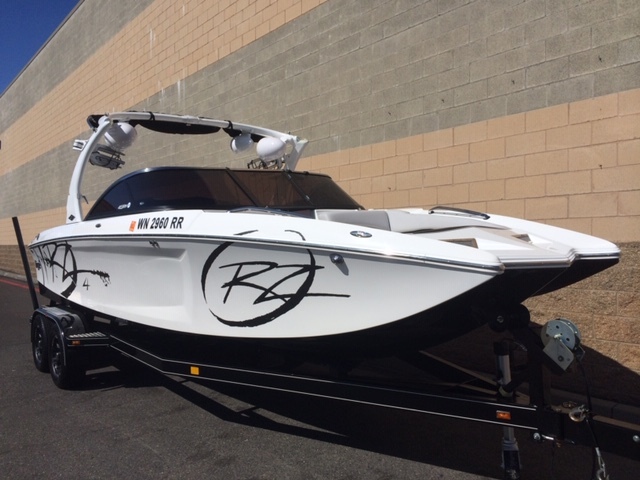 Note: Since each boat is different, as well as each customer’s specific needs, we do not have set pricing for boat cleaning and detailing. We price accordingly and specifically to each customer with satisfaction guaranteed.